Appalachia & Beyond: More Thank You's! Seems like we can't say thank you enough! We appreciate all our friends and fellow bloggers - and most of all, you - our readers. 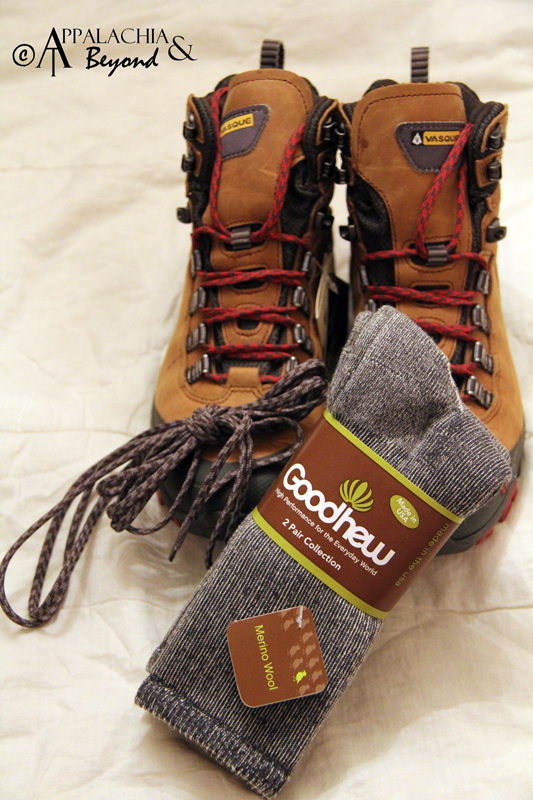 Tomorrow, I'll be hitting the trail to try out - for the first time - my new Vasque Taku GTX hiking boots and the Goodhew High Performance socks thanks to Outdoor Blogger Network. Many thanks to OBN, Vasque, and Goodhew for the opportunity to review these hiking essentials! Keep a watch out for the reviews on both the hiking boots and the socks.